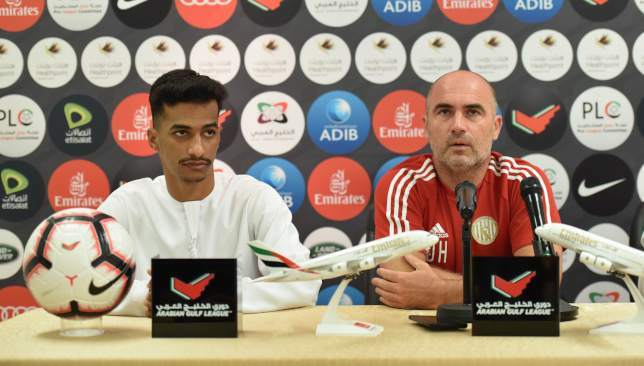 Al Jazira midfielder Abdullah Ramadan with boss Damien Hertog. Al Jazira head coach Damien Hertog believes the club’s supporters can inspire his players even more when they take on Al Ain in Al Clasico on Wednesday night. 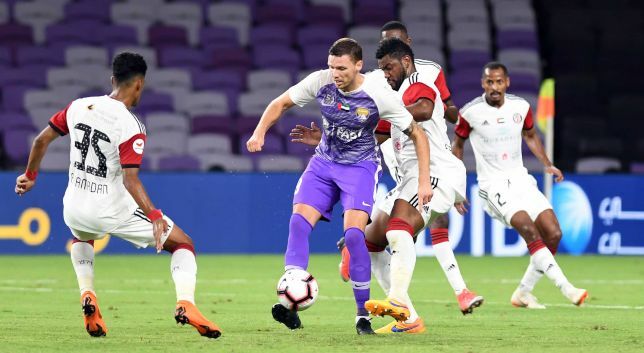 Jazira welcome second-placed and reigning Arabian Gulf League champions Al Ain to Mohammed bin Zayed Stadium foran Abu Dhabi derby renowned as the biggest club game in UAE football. The hosts aim to bounce back following last week’s 3-2 defeat to AGL leaders Sharjah. Both teams also go into the clash almost certain in the knowledge that defeat for either would likely end their title hopes. Jazira, in fourth, are 12 points behind unbeaten Sharjah while the Boss are eight adrift with eight games remaining. “Sharjah was a tough opponent, but Al Ain will be bigger test as they are the defending champions,” added Hertog. 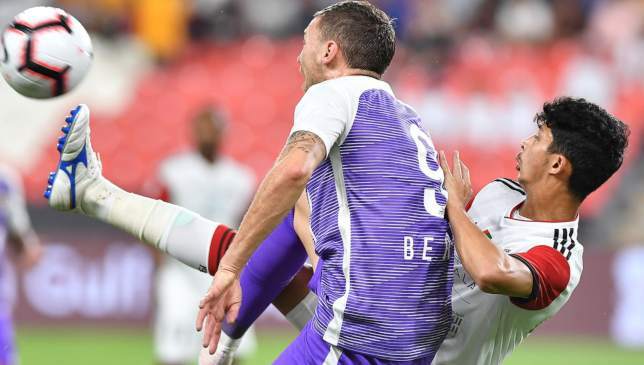 Jazira will be without five players including defender Fares Juma (suspension) and attacking midfielder Leonardo (injured). 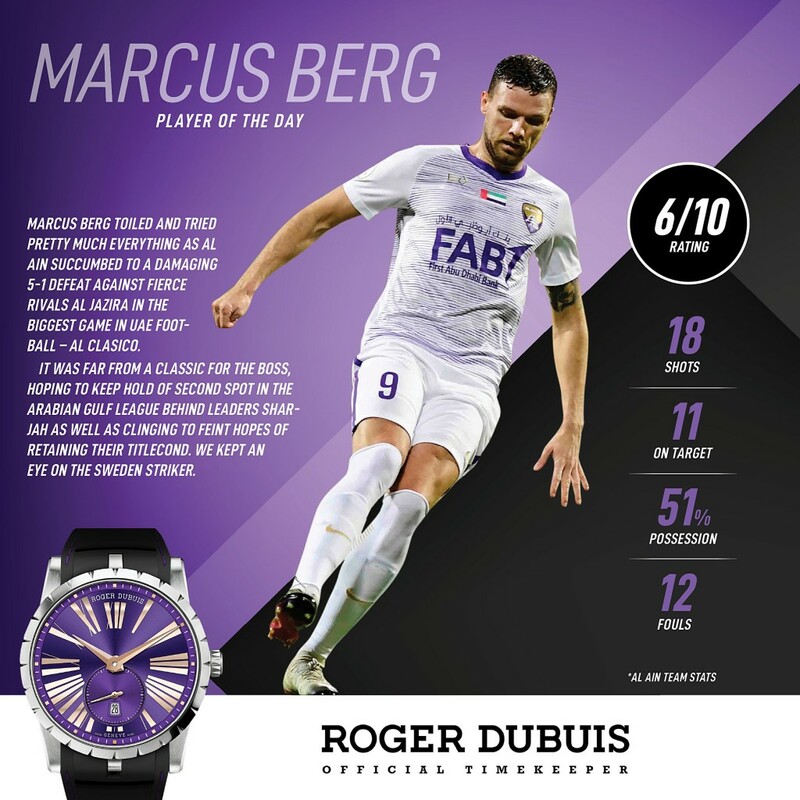 However, Hertog believes there’s plenty of quality at his disposal that can help cause Al Ain problems. “There will always be suspensions and injuries but Al Jazira have a strong, talented squad and not just 11 players. These absences are an opportunity for other players to step up and show their quality and help the team,” he said. Kick-off in Al Clasico is at 20:30.